Become familiar with the various government programs designed to help your company finance its export transactions, and give it the capital to carry out its export operations. We recommend that you review this information and then contact your local Commercial Service Trade Specialists to discuss how these programs can help you achieve your international sales goals. Do you need working capital loans? Does your foreign buyer need financing to buy your products? Do they prefer lease financing? 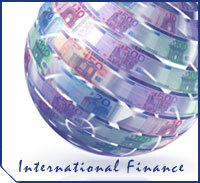 Check out the U.S. Government International Financing Programs. The U.S. Government offers U.S. companies Insurance and Risk Mitigation policies that cover export transactions and for overseas investments. Coverage includes losses for non-payment, currency inconvertibility, asset expropriation and political violence. The U.S. Government provides grants to U.S. firms to conduct feasibility studies on infrastructure projects and to train the foreign business community and government officials on U.S. business practices, regulatory reform and other economic development activities.